In the second novel of King’s bestselling fantasy masterpiece, Roland of Gilead, the Last Gunslinger, encounters three doors which open to 1980s America. Here he joins forces with the defiant Eddie Dean and courageous, volatile Odetta Holmes. And confronts deadly serial killer Jack Mort. 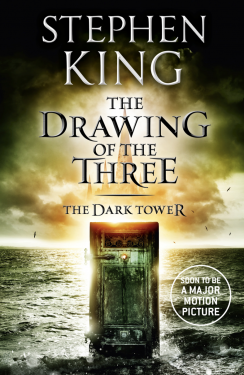 Masterfully weaving dark fantasy and icy realism, The Drawing of the Three compulsively propels readers toward the next chapter.